Windows 10 has been creating a lot of buzz recently and it has been a hit till now, just a few days ago I shared the trick about How to Activate Windows 10 without product key and also provided a guide on how to stop Windows 10 from sharing your Wi-Fi password, which is a must read for those who want ore control over their Wi-Fi, using Windows 10. So, wanna use the Windows 10 on your phone? Yes, it’s possible and you can install the Windows 10 Technical Preview. on selected phones. For now, only Nokia Lumia 830, Lumia 730, Lumia 638, Lumia 636, Lumia 635, Lumia 630 can be upgraded to Windows 10 Technical Preview. So, let’s get started. Follow the steps below very carefully to install the Windows 10 Technical Preview on your WIndows Phone. First of all, visit the Insider Preview joining page. Click ‘Get Started’ button and just sign up for the program. Now fill in your Outlook e-mail ID and then sign in. If you want to use a different ID you may create one as well. Now you need to install the Windows Insider App on to your phone from the Windows App Store. Just folow this link and install it on your phone. Open the app and click on Get Preview Builds. Now you have to choose between the OS updates as Microsoft releases new versions of it with Bugs Fixes every time. Now, there are two kinds of built for your phone. Select that carefully. a.) Click on ‘Insider Fast’ if you are fine with moderate number of bugs and wanna stay up to date all the time. b.) Click on ‘Insider Slow’ if you want a stable OS with least bugs, but you won’t get getting very frequent updates. Then go through Terms and Conditions and accept the terms. While you go there just hit ‘Check for updates’and you will immediately get the update for your phone. Download the update, I recommend using Wi-Fi as the update size will be a big one, and once it installs you’re ready to rock with Windows 10. 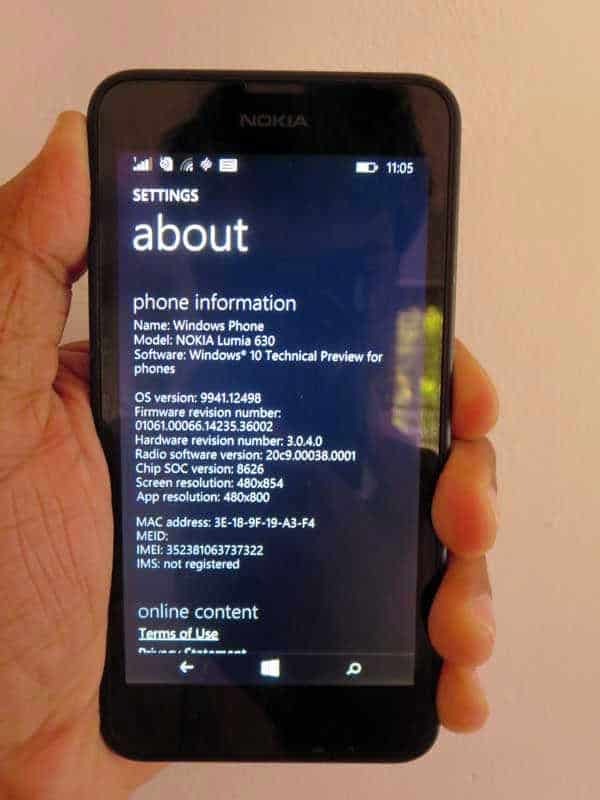 So, here was the guide for installing Windows 10 technical Preview on your Windows Phone, though there are very less differences between the Windows 8.1 and Windows 10 Technical Preview on a smartphone, you may like to be a little SWAGGY with your phone. Follow the guide carefully and enjoy, if you have any doubts, you are free to ask us in the comm nets section below.